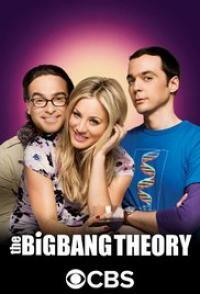 Leonard Hofstadter and Sheldon Cooper are both brilliant physicists working at Caltech in Pasadena, California. They are colleagues, best friends, and roommates, although in all capacities their relationship is always tested primarily by Sheldon's regimented, deeply eccentric, and non-conventional ways. They are also friends with their Caltech colleagues mechanical engineer Howard Wolowitz and astrophysicist Rajesh Koothrappali. The foursome spend their time working on their individual work projects, playing video games, watching science-fiction movies, or reading comic books. As they are self-professed nerds, all have little or no luck with popular women. When Penny, a pretty woman and an aspiring actress originally from Omaha, moves into the apartment across the hall from Leonard and Sheldon's, Leonard has another aspiration in life, namely to get Penny to be his girlfriend.